Whatever became of the Confederate steamboat Countess, the gallant little transport that spent so much time around Fort DeRussy before the fort's capture in 1864? That’s not much of a mystery, you Civil War naval history buffs are probably saying. It’s common knowledge that in the rush to evacuate Alexandria, Louisiana, ahead of the approaching fleet of Admiral David Porter in March of 1864, Countess grounded on the Red River rapids and was burned by the Confederates to prevent her capture. Lt. Commander Seth Phelps (Eastport) reported the incident in his official report of the capture of Alexandria, while bemoaning the fact that he arrived at the city a half hour too late to capture six other Confederate steamers that got away upstream. The burning of Countess has been duly repeated in numerous histories since then. Way’s Packet Directory, Lytle’s List, any account of the Red River Campaign – they all report the loss of Countess in the frantic evacuation of Alexandria. Doesn’t seem to be much of a mystery, does it? Everyone agrees on what happened to Countess. Phelps arrived at Alexandria on the evening of March 15, 1864, and the next day wrote his report on the burning of Countess. But a Confederate report of March 17 lists the Confederate boats that had safely reached Grand Ecore. And among the ten steamers inventoried is Countess! Then what boat burnt at Alexandria? According to a Confederate report of March 18, a detachment of Captain Stewart’s cavalry arrived at Alexandria on March 15, “after the ferry-boat was on fire and the enemy’s gunboats in sight.” So, Countess did not burn on the rapids at Alexandria. She escaped with the other transports, and the Alexandria-Pineville ferry, burnt by the Confederates to prevent her use by the approaching US forces, was misidentified as Countess. But what did happen to Countess? 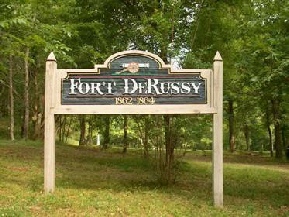 After the March 17 report, she is occasionally mentioned, at one time transporting prisoners for exchange at Fort DeRussy, and carrying Missouri soldiers home from Shreveport at the end of the war. Recent research has shown that she was operating on the Yazoo River until at least 1871. Far from dying a fiery death in Alexandria in March of 1864, Countess seems to have lived to a ripe old age hauling cotton in the Yazoo delta.